My new year started off on Thursday morning in just the right way. First, my daughter texted me to tell me that her baby, my grandson Remy, had slept through the night for the first time. Then I checked my email and saw there was a new post from one of my favorite bloggers, Pancho of The People of Pancho. She’d been nominated for The One Lovely Blog Award and was very excited. I was excited for her because I really enjoy her blog about her family research and about her childhood growing up in the Panama Canal Zone. But imagine my surprise as I read through her blog post to see that she had in turn nominated me for The One Lovely Blog Award! I am so honored and flattered to have received this nomination. So Pancho, thank you so much for this nomination and for starting my year off with this great ego boost! Nominate 15 bloggers you admire (or as many as you can think of!). My family is the center of my life, and not just my dead ancestors! My living and breathing family—those who have known me since birth and childhood and those I’ve only known since adulthood. I have been married for 38 years to the guy I met working at a day camp back in 1973. I still am amazed by how wonderful a man he is. My children and grandchildren give me endless joy. I am writing this blog for them, whether they realize it or not. I taught law for 32 years—copyright, trademark, antitrust, and contracts law. 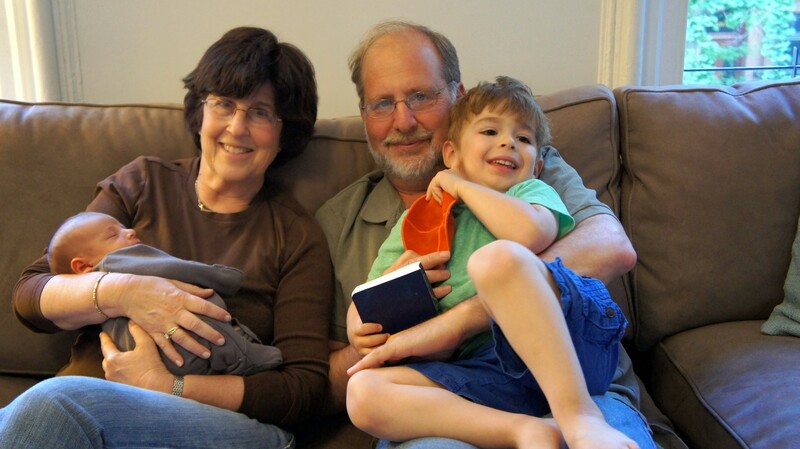 I retired last spring, and so far retirement has been wonderful! I have more time to pursue genealogy, and I am exploring various volunteer projects that give me a chance to work with children and use my teaching skills. I love animals, especially cats and dogs. I have never met a cat I didn’t like. They are all beautiful to me. 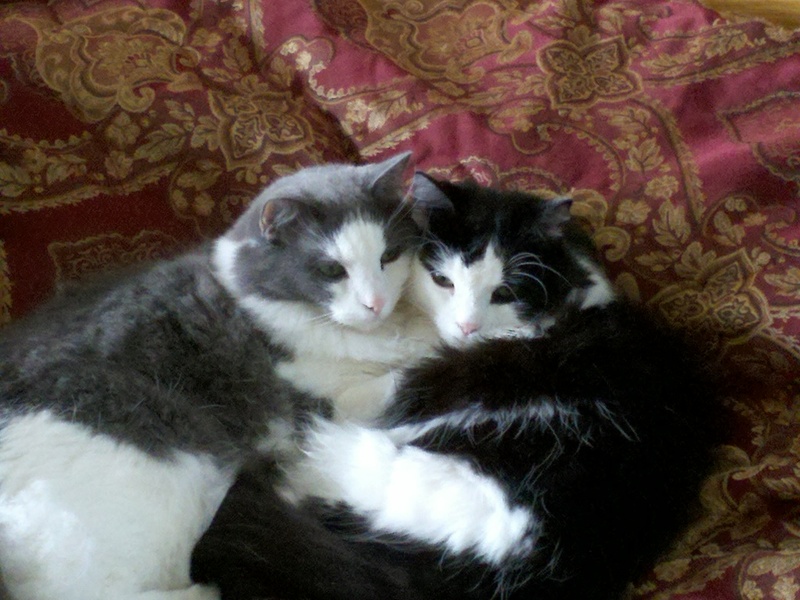 I love dogs also, but not as much as I love cats. Except my dog. I love her as much as my cats. The Outer Cape in Massachusetts—the location of the towns of Wellfleet, Truro, and Provincetown—is my favorite place in the world. No place else is as beautiful to me. 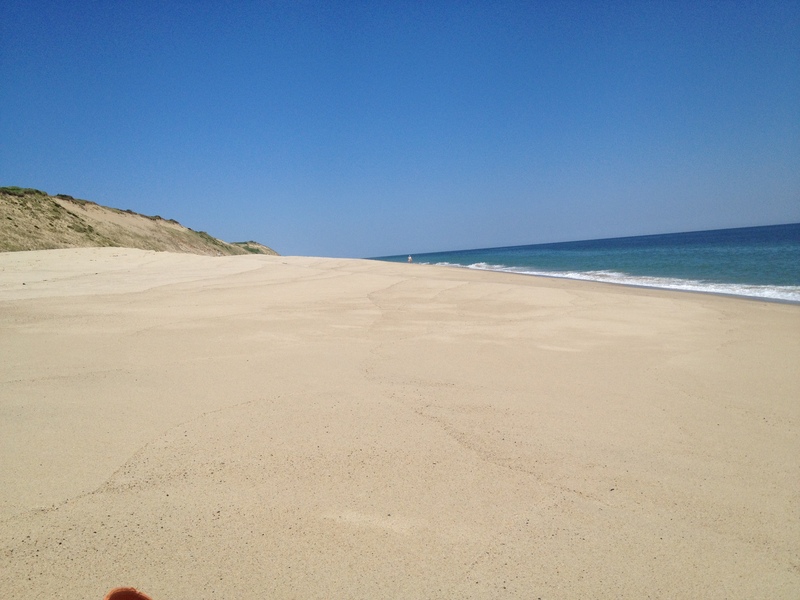 Put me on the beach in the National Seashore or overlooking Cape Cod Bay, and my mind immediately clears. 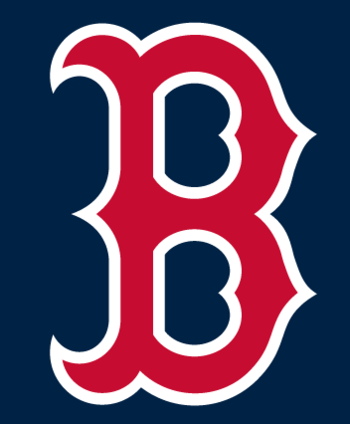 I am a die-hard Red Sox fan and have been for 39 years…ever since 1975 when the Red Sox lifted me out of the doldrums and stress of my first year of law school. This year might have been the hardest season ever to be a Sox fan, from last to first to last again. Go Sox….2015? Reading has been my favorite pastime since I was very young. I am always reading something for pleasure. My tastes are pretty eclectic, but mostly I read novels, biographies, and memoirs. I thank my mother for getting me hooked on books at a very early age. 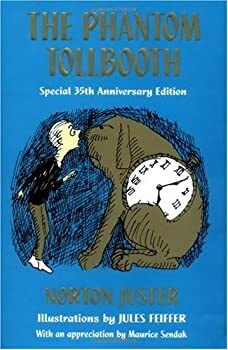 My favorite two books from childhood are The Phantom Tollbooth by Norton Juster and Charlotte’s Web by E.B. White. The first taught me that books could create a whole imagined world where anything can happen; the second taught me that books could make me care enough about well-developed and well-written characters—even a spider—that I would cry over them. 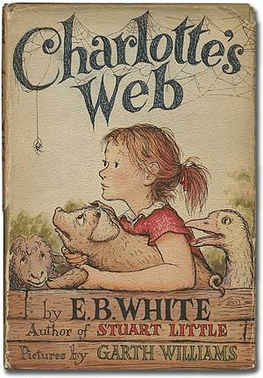 I still cannot think about the ending of Charlotte’s Web without getting choked up. Since I first started reading books on my own as a child, I have always been inspired by good writing. I have always, always, wanted to write. Work, family, and life got in the way. This blog has been a gift for me—I finally get to write what I want to write the way I want to write it. Thank you to all my readers and followers for giving me an audience and the encouragement and the inspiration to keep on writing. I share this nomination with you all. And now my turn to recognize some of the blogs that have inspired me and that teach me something about genealogy, about writing, and/or about life. First, Pancho already recognized three of my favorite blogs: Bernfeld Family of Galicia & More, The Genealogy Girl, and Shaking the Tree. I would also have nominated these three as all are wonderfully written, very expressive, and very well-researched genealogy blogs. All three touch me and help me all the time. I would also re-nominate The People of Pancho for all those reasons and also Jana’s Genealogy and Family History Blog, though I know that Jana nominated Pancho thus must herself have been nominated. So those are five genealogy blogs that I would also have nominated even though they’ve already been nominated. But I will spread the wealth and nominate a different group of fifteen. These are in no particular order, but the first group are all genealogy blogs that I enjoy reading, find helpful, are amazingly well-researched and well written. 9. wmtc: formerly, We Move to Canada, a blog originally (not surprisingly) about Laura Kaminker’s move to Canada from the US, but now much more than that: politics, books, travel, personal reflections, dogs, baseball, you name it—all clearly and beautifully written and often very provocative. 10. The Joy of Sox: the very first blog I ever read—all about the Red Sox. Allan Wood’s latest book about the Red Sox, Don’t Let Us Win Tonight, has made me an even bigger fan. 12. Wellfleet Today—the ins and outs and ups and downs of running a B&B in Wellfleet, Massachusetts. Amazing photographs. 13. Rex Parker Does the New York Times Crossword Puzzle—ever since I discovered this site a few years ago, I no longer have to wait 24 hours to find out what obscure answers I missed, and I also get to read all the rantings of Rex and his followers. 15. The TTABlog–a blog I followed regularly while teaching trademark law. Although I am retired and no longer reading it regularly, I want to recognize it because it was tremendously helpful to me while I was teaching. So those are my fifteen nominations. Now I have to go tell them all they’ve been nominated. I hope they are as pleased as I was by my nomination. 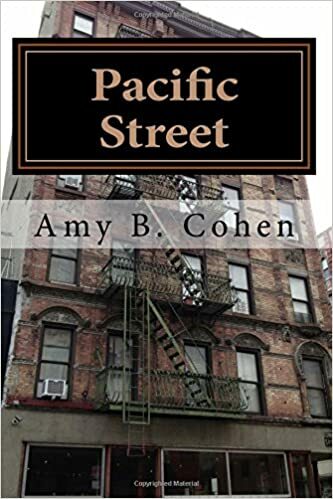 This entry was posted in Blog information, Genealogy and tagged Blog, blogs, Boston Red Sox, Cape Cod Bay, charlotte's web, genealogy, Norton Juster, Panama Canal Zone, People of Pancho, Phantom Tollbooth by Amy. Bookmark the permalink. This wonderful news-congrats to you. I learn things from your blog weekly. Thank you! I always enjoy yours as well! Thanks, Julie! To Kill a Mockingbird came much later for me, but clearly is one of the best books ever. If I started listing ALL my favorites, I’d never stop! You’re welcome, and I understand. Thank you for the nomination, but even more, thank you for your high praise of wmtc. Your blog is great. I love that I knew all seven things about you! Thanks, Laura! Yes, it’s amazing how friendships can start with a comment about an apostrophe on a blog! Here’s to many more years. Amy, I thank you for my nomination! How exciting to see the other blogs you listed. Some of your chosen are also my favorites, and some are completely unknown – and just waiting for the journey to begin. Congratulations, you’ve worked so hard. Well deserved. I LOVED your list of 7 things about yourself, especially the part about your family, your professional life, your cats and dog, the books (both of those mentioned are faves of mine too), your love of baseball (go, Giants! ), the mind-clearing properties of a good shoreline, and your admiration (and practice of!) great writing. So, pretty much all the parts, now that I think about it. What fun! Thank you, Pancho, and thank you again for the nomination! And all of us are grateful that you found time for your true passion. You’re a great writer. Thanks,Jo, and thanks for all your help with photos and family trees. No doubt in my mind that about this nomination. You are amazing and the reading of your blog is so interesting. Congrats and happiness in the future! Thank you, Joann! I am so glad you are enjoying it. I have found your blog to be very well written. In fact I read it for clues in how to improve my own writing. Your comments on my blog have always given me a lift, just to know that someone reads it and cares enough to comment. But your comments and offers of help go way beyond that. To know that you thought my blog was worthy of a nomination from you has been a great lift. In fact I have received nominations from two blogs counting yours. So this weekend I will walk around with a big smile. Well, I feel the same way about your blog. You express your feelings so well. Congrats on the double nomination! Well-deserved! Thank you Amy! I am (once again) catching up with things and plan to do some posts over the weekend! It’s always worth waiting to see what you have to say!